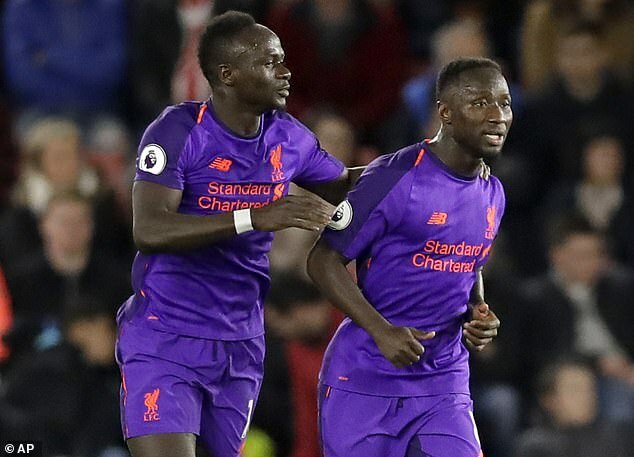 Sadio Mane has predicted the real Naby Keita is emerging after two goals in two games finally gave his Liverpool career lift-off. The Guinea international arrived at Anfield last summer with a towering reputation, one that was built by the fact Liverpool did a deal to sign him in August 2017. He cost £52.5million when leaving RB Leipzig and he became the first player to wear the No 8 jersey after Steven Gerrard in 2015. 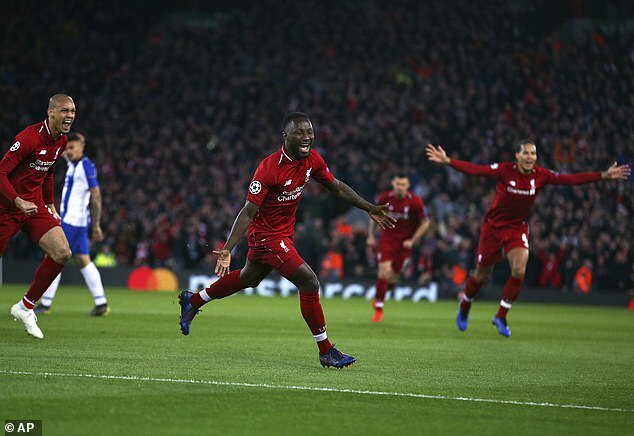 Keita started brightly in his first two games but then lost his way through a combination of fitness issues and lack of form and Jurgen Klopp admitted in January that the 24-year-old had lost some confidence. 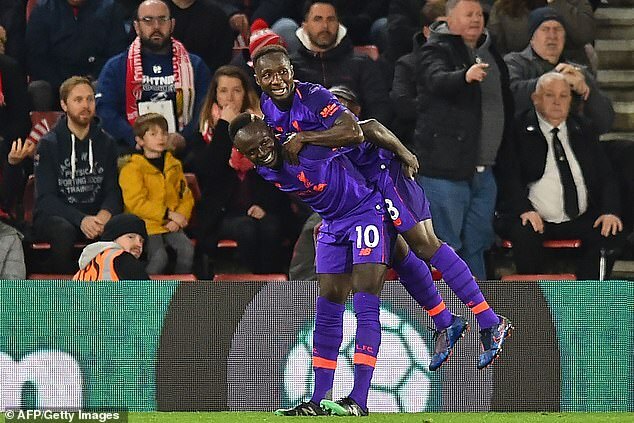 Klopp, though, provided a huge show of faith by starting him against Southampton and Porto and Keita responded by scoring the opener in both fixtures; Mane, who has known him since they were together at Red Bull Salzburg, believes he has shown only a glimpse of what he can really do. ‘It is going well for him and everyone is very happy,’ said Mane. ‘I just talked to him to do what I can (to help) but Naby is a big boy, so he knows how football can work and sometimes not. He knows that so he is very positive and he knows he can do more. I am sure he can do more. ‘We have a lot more to see from him and I am sure we will see it. I’m trying to help him and everyone in the team and the coach as well. It is not easy to move from Germany to change club, especially as the league is not the same. Liverpool have followed Keita’s career closely and Klopp was adamant during the 2016-17 campaign his signature was the one he wanted more than any other. Given the fanfare that surrounded him, it was only to be expected that there would be some flatness when he failed to sparkle immediately. Mane, though, could see parallels with his time in Austria when he arrived on Merseyside and now he is expecting improved belief – to go alongside the show of faith from Klopp – to lead to performances that are more consistent. ‘The first time he came to Salzburg, he was the same,’ said Mane. ‘He was not playing for a while but he was really positive and after he was the star of the team. ‘It was very tough for him but he never stopped working hard. I am 100 per cent sure he will do incredibly well.